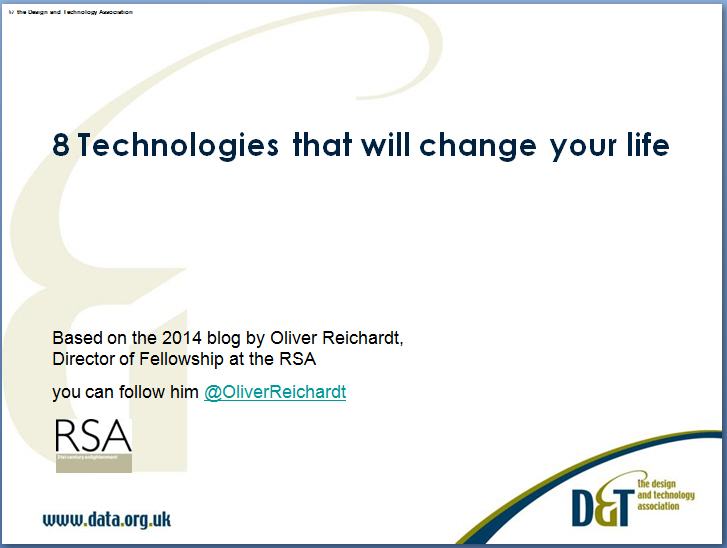 Based on the 2014 blog by Oliver Reichardt, Director of Fellowship at the RSA, this PowerPoint presentation highlights eight technologies that will change the world that policy makers really need to be thinking about and that will impact upon the designs that your students are developing. 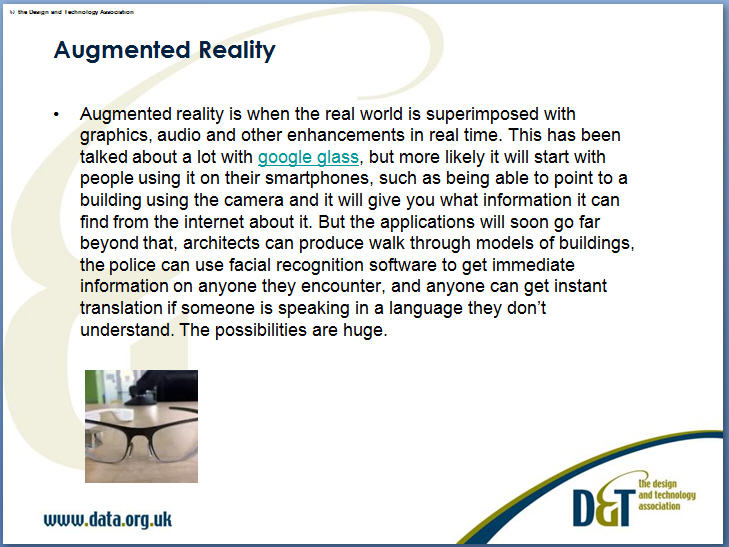 The technologies cited are: drones, 3D printing, augmented strength, sensors, graphene, augmented reality, DNA sequencing and computers which can read your mind. The presentation includes links to relevant websites with articles on each topic.